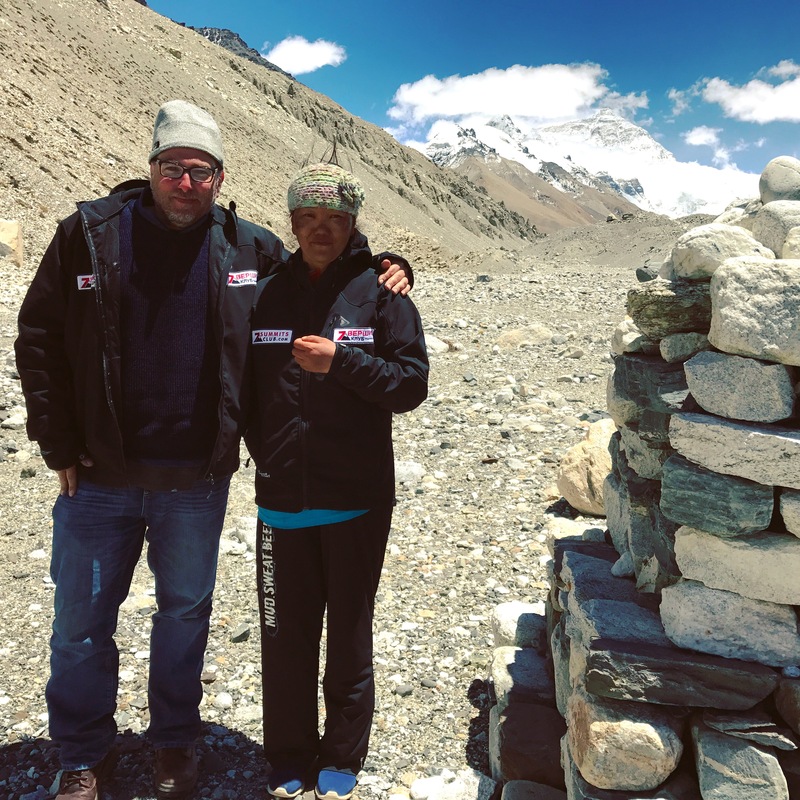 Alan Blassberg, director of the documentary “Goddess of the Sky” talks to us about his challenges in making a movie with Lhakpa Sherpa about her life and climbing. After his interview, read on for a Q&A with Lhakpa herself. Having just returned from her successful 9th ascent of Mt. 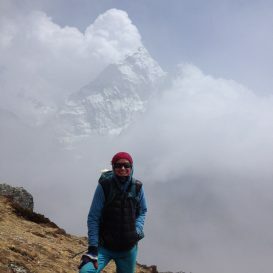 Everest, Lhakpa discusses with us a new desire to be known in Nepal, where she was born. Big things are on the horizon as she looks to change from the Tibetian side and climb on the south side in Nepal next year. We are fortunate that Alan and Lhakpa took the time to answer some questions for us. 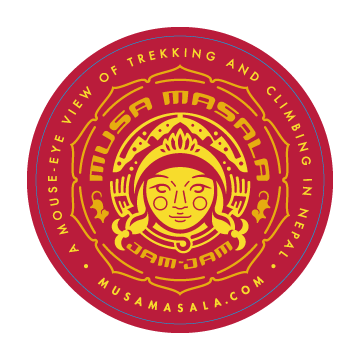 Musa Masala intends to stay with this project and we are very excited for Lhakpa to begin receiving more recognition for her amazing feats of endurance in the mountains. Give us a brief overview of how you got involved with this project. What makes you so passionate about it? I met Lhakpa almost 10 years ago. Serendipity put us together. I was writing a script about Base Camp when, out of the blue, a friend of mine from high school I hadn’t spoken with in about 20 years emailed me. He asked me if I was interested in Mount Everest. That’s when everything started. 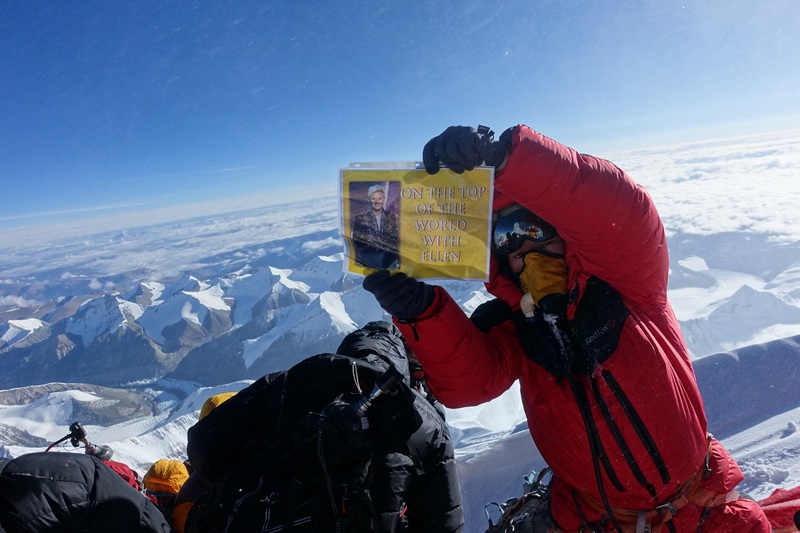 He told me a couple from West Hartford had climbed Mount Everest several times together and that they lived locally and spoke at a nearby school recently. 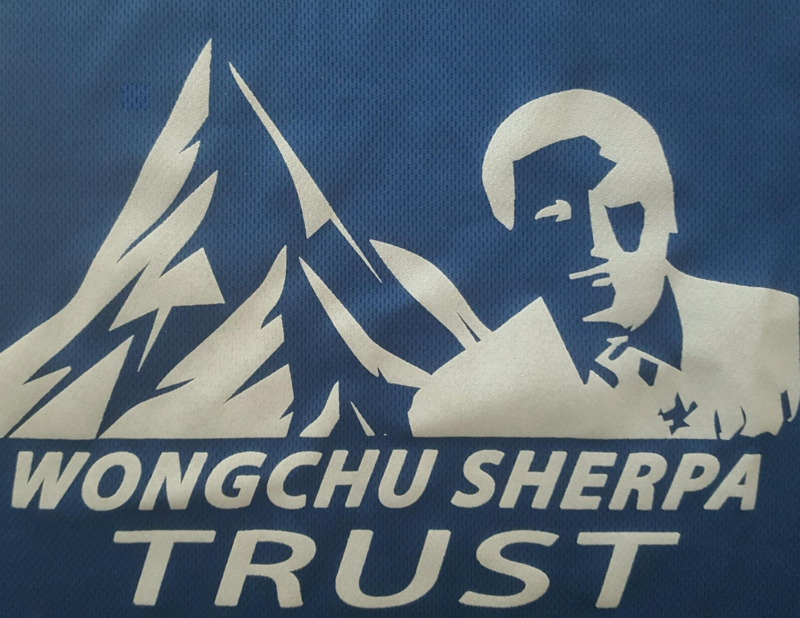 I emailed the principal of the school and told her that I was from Connecticut and that I would love the opportunity to speak with both George and Lhakpa (at that time). I flew home from California as soon as I could and spent a few days in Albany, New York, with my family. It was the dead of winter and my mother didn’t want me driving from Albany to Connecticut for the meeting. That would’ve gone over so well if I said I couldn’t come meet them because of a snow storm. The potential project was about Mount Everest, so any amount of snow I was looking at really wouldn’t be reason enough not to meet. We laugh about that often. About three years ago, I received a call from a counselor at a women’s shelter in Connecticut. Jennifer, the counselor, told me that Lhakpa had been in abusive relationship for 10 years but she wanted me to tell her story. I was beyond humbled by her offer and trust. We hit it off like family. 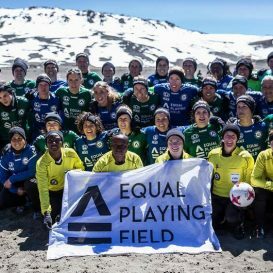 The female world record for climbing the highest mountain in the world couldn’t climb out of an abusive relationship? This story had to be told. Give us a little backstory on yourself and your work to date. I have worked in television and film for the past 20 years. I have produced and directed hundreds of hours of primetime television for all the major networks. Some of the shows include America’s Deadliest Season: Alaskan Crab Fishing, which launched the Deadliest Catch series for the Discovery Channel. I have produced eclectic series ranging from Policewomen of Broward and Maricopa Counties to dream wedding shows for Mark Burnett and just about everything in between. 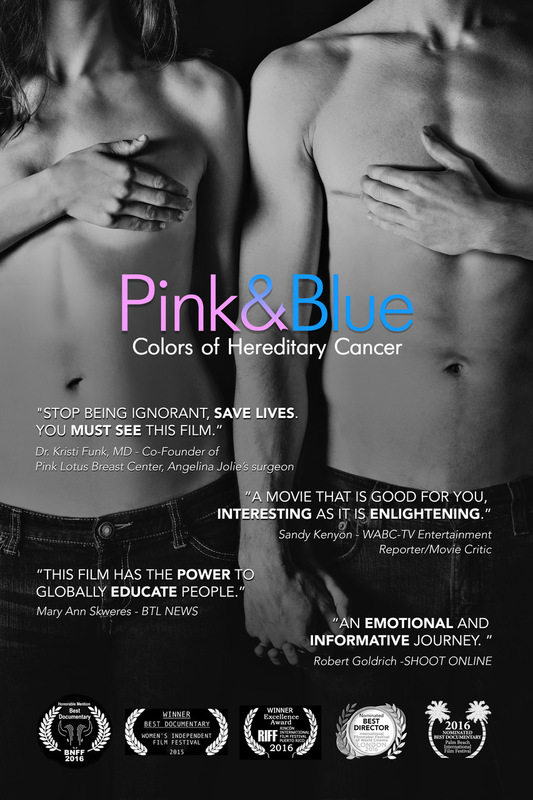 PINK & BLUE: COLORS of HEREDITARY CANCER was a feature film that I produced and directed in 2015. I made the film to honor my sister (BRCA 2 carrier) who passed away from breast cancer in 2011. I wanted to help educate people about the BRCA gene mutation, which puts carriers at higher risks for certain cancers. The pink and blue represents both females and males. People don’t realize man can get breast cancer. There is a higher percentage of men dying from breast cancer then women. We qualified for two Oscars and have screened the film from Iceland to Alaska, England to Arkansas. The film has been quite successful in helping educate others about this potentially deadly mutation which ripped my family apart. Have you visited Nepal? Or joined Lhakpa on any of her climbs? Lacking corporate sponsorship to help Lhakpa on her world record breaking 8th quest to the top of the world in 2017, we decided to go the independent route and start filming her story for the documentary entitled, GODDESS OF THE SKY: The Lhakpa Sherpa Story. I visited Nepal 2017 with one of my producing partners, and author Michael Reinwald along with musician and sound supervisor Ana Saldana. 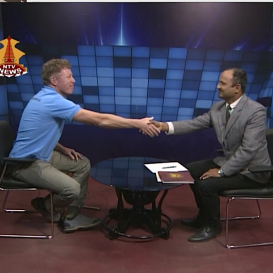 I was introduced to a Nepalese actor and producer Ram Raj Dahal who became an indispensable part of our production. Raj helped us hire local Nepalese talent to form a small but mighty crew. In total, we spent six weeks in Kathmandu and surrounding areas shooting on location with Lhakpa, her family and other climbers who made up the expedition seven Summits Adventure. Raj and I went to base camp on the Chinese side with Lhakpa’s brother Mingma Gelu Sherpa (8 time Everest climber) and owner of 7 Summits Adventure. . Lhakpa was on the mountain as we made our way to base camp. Without Mingma’s guidance and expertise none of the documentary would have been possible. In fact, he saved my life when I came down with altitude sickness. I will be forever grateful to him and his team. Tell us about the documentary. What will you cover? How you want to present Lhakpa? How far along are you? 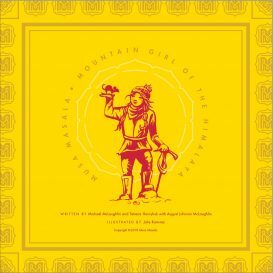 GODDESS OF THE SKY tells the true story of Lhakpa Sherpa, the Nepalese female climber who holds the world record for successful summits to the top of Mount Everest. She just broke her own World Record in May as she successfully summited the highest mountain in the world for the 9th time. Known as Sagarmatha, or “Goddess of the sky” in Nepal, Mount Everest is the world’s tallest mountain. Lhakpa Sherpa, one of the world’s best female climbers, has ascended Mount Everest more times than any other woman. 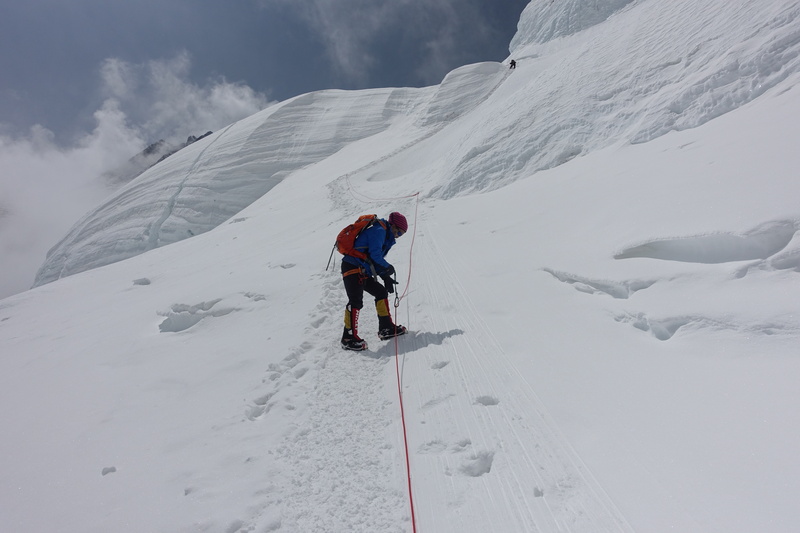 But conquering Everest is only one of many incredible life challenges for Lhakpa. 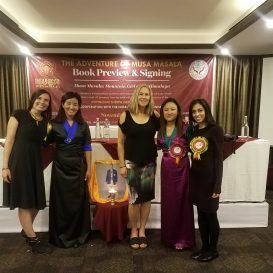 She also has fought to climb out of poverty, illiteracy, and an abusive marriage, all while cashiering at 7-Eleven, washing dishes at Whole Foods or housekeeping for several families, and making plans to break her own world record by climbing to the top of Everest for the tenth time in April 2019. We have shot about 75 percent of the documentary thus far. We have some more shooting to do with her and her children in Connecticut and Nepal. 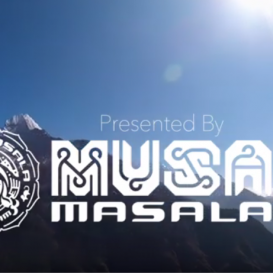 This time she wants to broadcast her world record breaking climb as she attempts to summit the highest mountain in the world live from the Nepalese side. 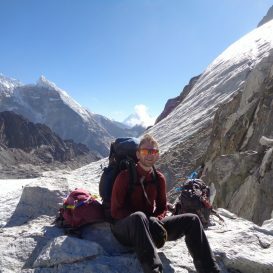 This would be a first for the broadcast and climbing world as Sherpa’s usually aren’t one for big accolades or attention. What is your next step? How does Lhakpa feel about a film being made about her? We need to rally support behind this modern day role model and hero. She is the first Nepalese woman to have successfully summited and descended Mount Everest ever. 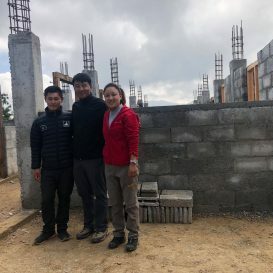 Lhakpa and her family hold several Guinness World Records for climbing, but she does not have the benefit of the large corporate sponsorships that many other world-class climbers enjoy. She represents the female version of “Rocky”: ambition, strength and greatness, hidden in plain and humble view. 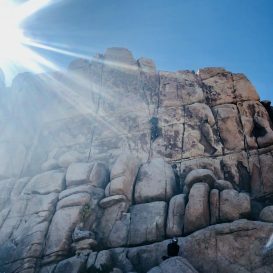 Although she has conquered the highest mountain in the world, it has taken her years to find the strength to climb away from immense physical violence at the hands of her then-husband. It is time for the world to hear her triumphant story. Learn more about Alan’s work and “Goddess of the Sky” here. Follow along on Instagram @godessoftheskymovie. Tell us about your last summit. How did it go? I worked really hard and it was tough. It was challenging mentally and physically. Also I have teenager children to take care of. Have you seen many changes on the mountain in the years that you have been going? Climate, the crowds, the quality of climbers or teams? It hasn’t really changed much in the past few years. Do you intend to climb next year? Yes, next year is a huge anniversary climb. I will try and break my current World Record by climbing to the top of the world for my tenth time. I am going to climb the Nepal side next year. I will keep going again and again on the Nepal side. I would like to get my native country to know who I am. I want to help other people reach their goals. Maybe I’ll do other mountains too like K-2. This is my dream. I look forward to good things. Positive energy, will bring positive changes. You do not train in a traditional fashion for these climbs, do you take much time when you get there to feel ready to climb? I don’t train in a traditional fashion. I can’t afford to train all year in preparation for my climb, so I do the best I can. If washing dishes at Wholefoods to support my children is considered training, than I train very hard. I walk everywhere I go in Connecticut. I walk my daughter to school and then walk to work. I just meet my family in Nepal and then go climb. I work hard throughout the year and I’m always prepared to climb. Do you have any other climbing goals? If I have the sponsors, I would like to climb the tallest mountains of every continent. I was close to the top on K2. I would like to climb Mount Everest and K2 in the same season. Do you have a message for young Nepali girls who want to learn how to climb? Keep doing whatever you want. Just know deep down that you can succeed in anything you put your effort into. After 2000 so many Nepali girls have been following my footsteps and I’m very honored to show them the way. Do you want your daughters to learn to climb? No, I want my daughters to have a good education. They also have very different aspirations from me. 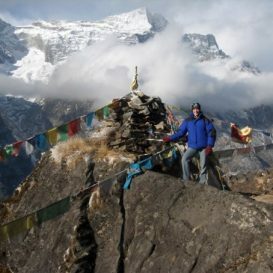 How are you adjusting to life back in the US after Everest? Not very well. I am very humble and don’t tell many people about my climbing. I feel bad about coming back to piles of bills and seeing all my utilities shut down. I’m back to washing dishes at Whole Foods again. I would like the opportunity to train like other climbers. I should rest but I must work to pay these bills. I still have some pain from sleeping on ice for two months. Have many climbers or climbing organizations reached out to you? Yes, many people have reached out to me. I try to respond when I can, but I am still working on my English. I would really like the opportunity to teach climbing and represent corporate brands with integrity. I would gladly go to every Whole Foods and speak about my story, fitness and climbing. How do you feel about having a film made of your life? My daughters want me to do a movie so I can change my life. Personally I’m not too excited about having a movie made about me. I just want to keep climbing.